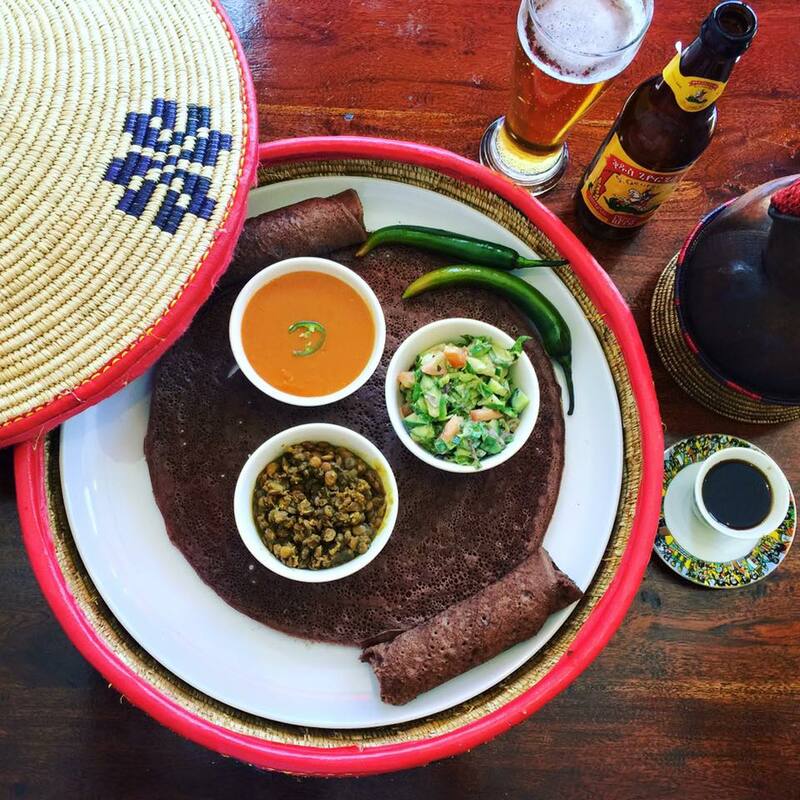 Hailing from the far northern region of Tigray, the beautiful meat, vegetarian and vegan dishes at Saba’s are served on the famous Injera bread. We will be using only 100% Teff flour for the Injera, just like in Ethiopia. 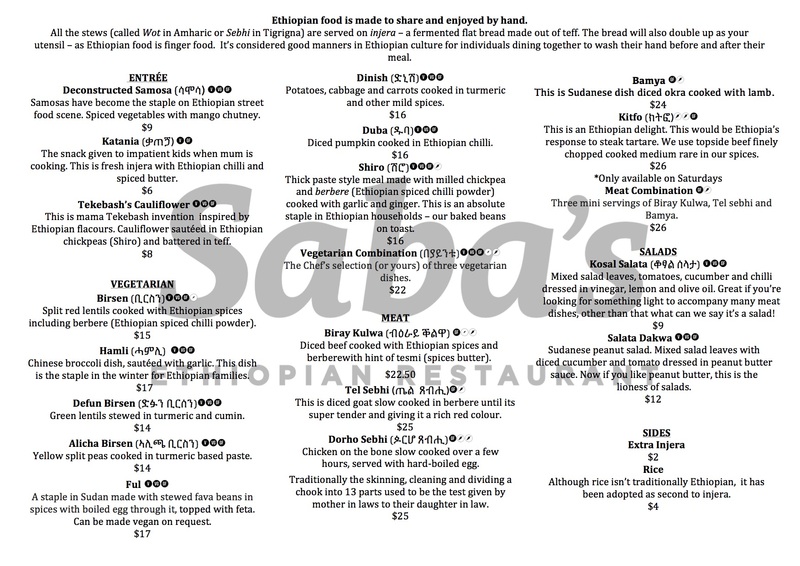 In fact, all food served at Saba’s is 100% gluten-free the way Ethiopian cuisine is authentically with a celiac-safe kitchen. We can cater for fructose intolerance if you book 24 hours in advance. 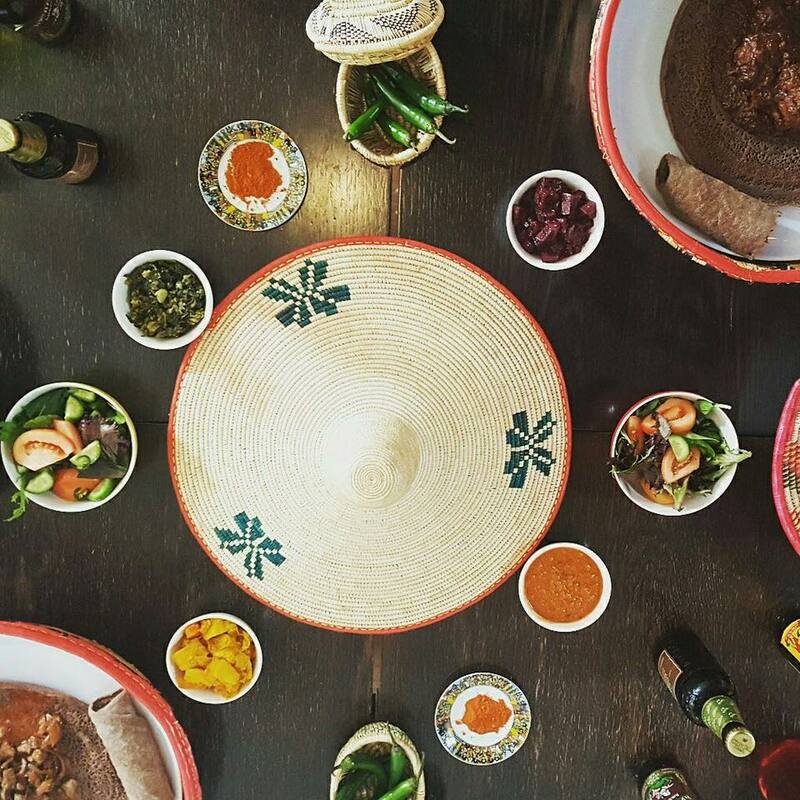 Ethiopian food is made to share and enjoyed by hand. Secure your place at Saba’s Ethiopian Restaurant today. 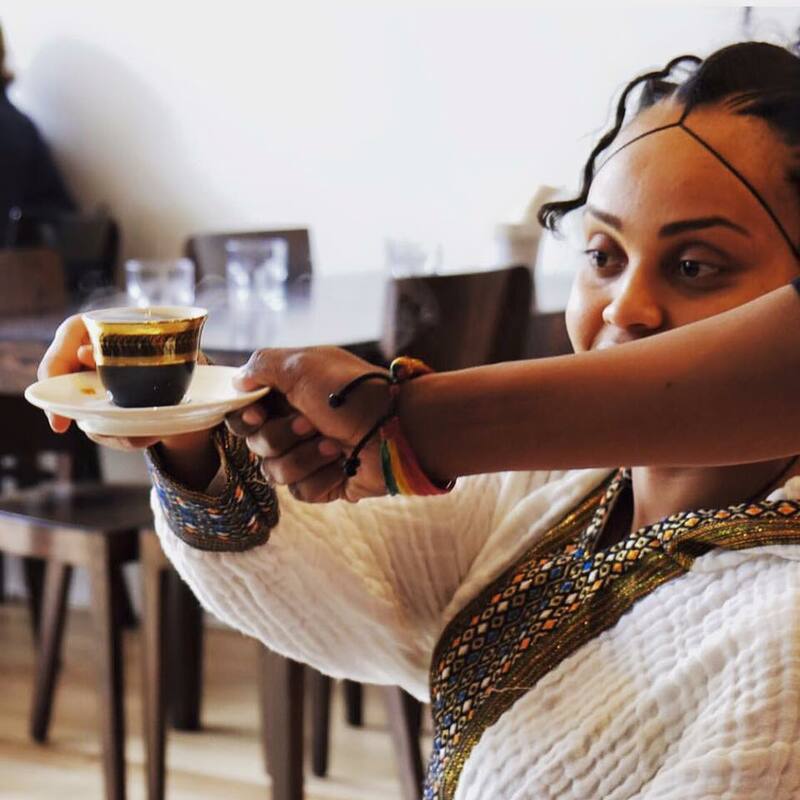 We will be serving traditionally roasted & brewed shots of Ethiopian coffee. The coffee ceremony takes place every Friday, Saturday & Sunday from 1 – 2pm. 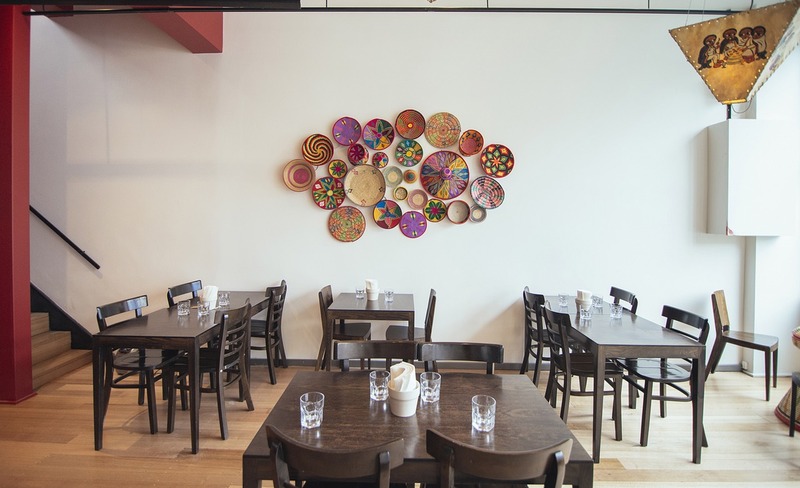 Host your function at Saba’s and experience authentic Ethiopian hospitality. Here’s what some of our guests had to say. Amazing experience, delicious food, highly recommended. Don't leave without having Ethiopian coffee! Our group of eight had a fantastic lunch today. It was great to try a delicious cuisine for the first time..the flavors were divine. The restaurant itself is brilliantly decorated and filled with light. Saba and staff were brilliant...so helpful and welcoming. Love this place. Can I give 6 stars? The food was amazing - just the right amount and so delicious. However, our waitress was the one who made the evening. Friendly, informative and really interesting. Thanks for a great evening! It's always a pleasure dining here. The food is delicious and the ambiance is welcoming and pleasant. Highly recommended!